This weekend, the newest Las Vegas hotspot will be opening to the public with KAOS Nightclub and Dayclub finally being unveiled. A slew of huge guests has been invited to take the stage with Cardi B and Travis Scott accepting residencies at the Palms Casino Resort. Ahead of the opening, the Palms has decided to give people their first look at what to expect once they step onto the property. Be prepared though because this is unlike anything else in Vegas. Palms is ready to finally show off the most expensive renovation in Las Vegas history. 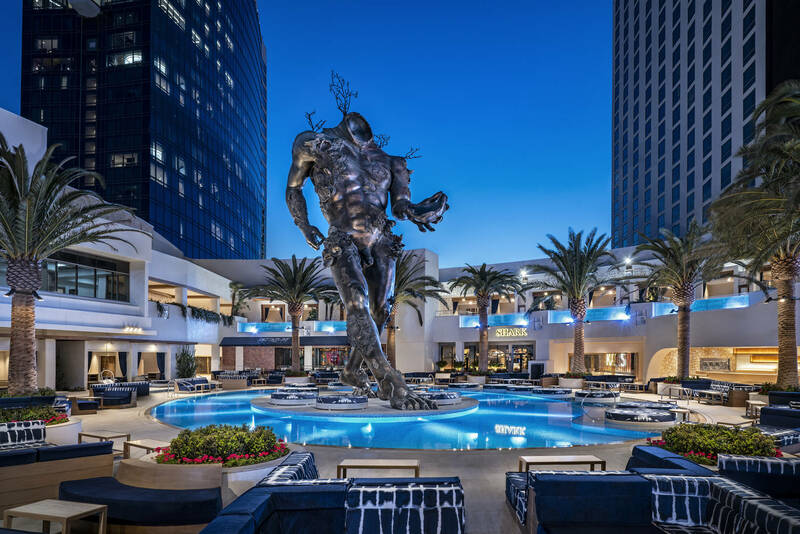 In total, $690 million was invested into making KAOS Nightclub and Dayclub the premier destination in all of Sin City and after checking out the photos, you'll understand exactly why. The 73,000 square foot dayclub boasts the highest number of pools of any resort in North America so that you can enjoy the hottest performers while lounging in the water. Pretty luxurious, right? When your eyes aren't peeled on the stage, you can check out the 60-foot Damien Hirst statue being showcased. By nighttime, you can enjoy special performances from a large list of artists: Cardi B, Travis Scott, Marshmello, Southside, G-Eazy, J Balvin, and so many more. Opening in just a few days, you might want to start saving up for your next trip to the Palms. 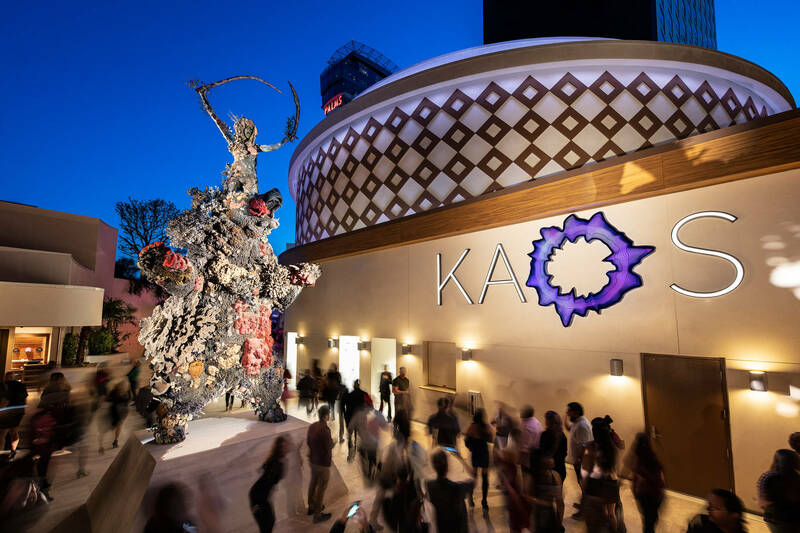 If you get lucky enough at the slots, you might even be able to afford the exclusive Kaos Theory package, which includes a 3-night stay in the "Empathy Suite" designed by Damien Hirst, lots of alcohol, and more. The price tag on that one package is $1 million so... get saving!